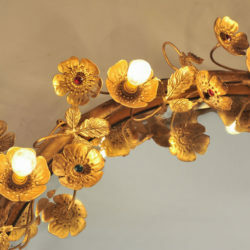 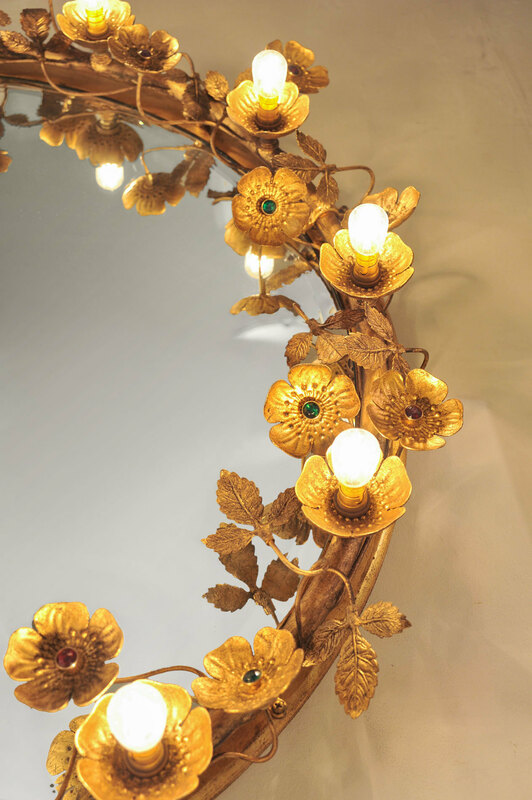 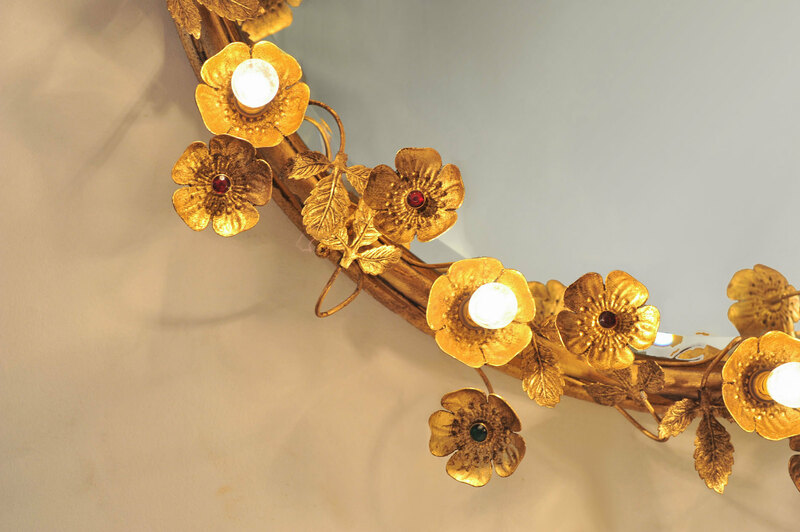 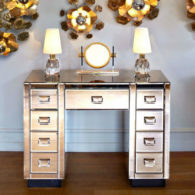 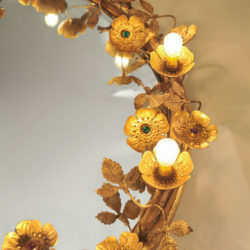 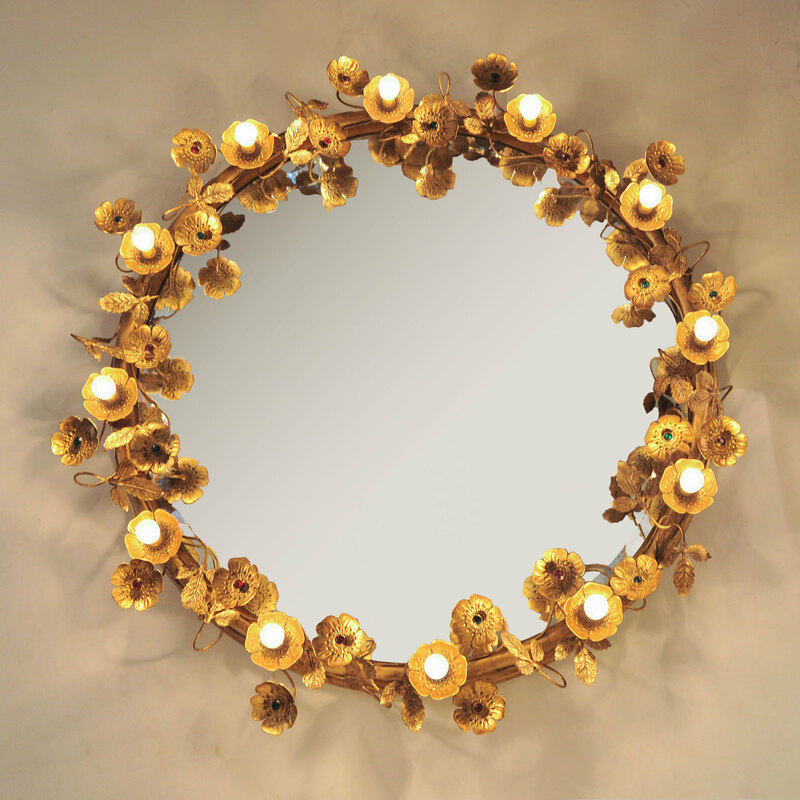 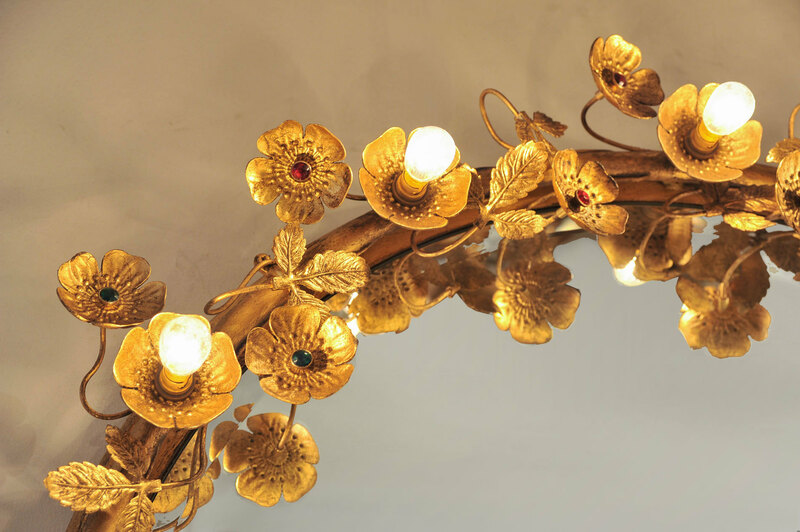 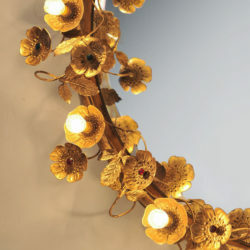 This glamorous wall mirror consists of delicate gold brass flowers and leaves that encircle the beveled mirror. 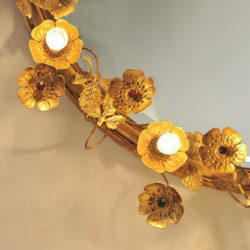 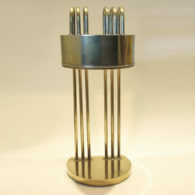 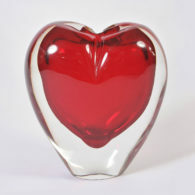 Each flower is finished with a ruby or emerald centre unless it holds one of twelve subtle light-up flowers. 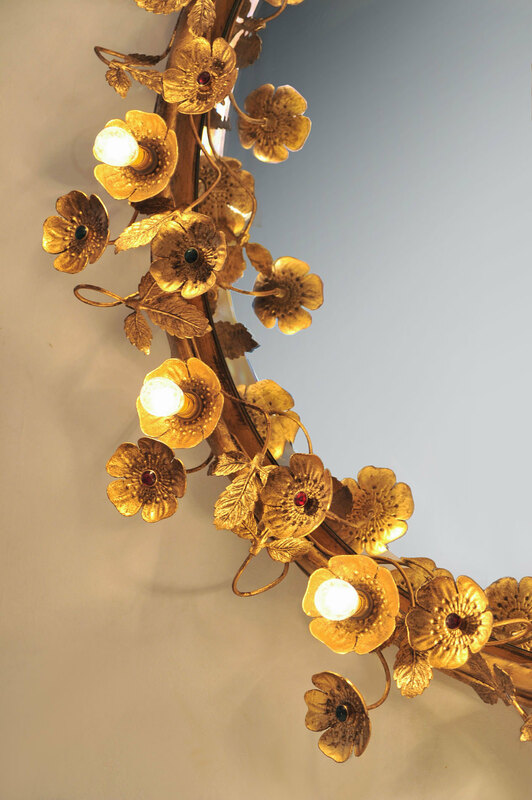 It cannot fail to flatter both you and your wall.